hd00:252 Shots. 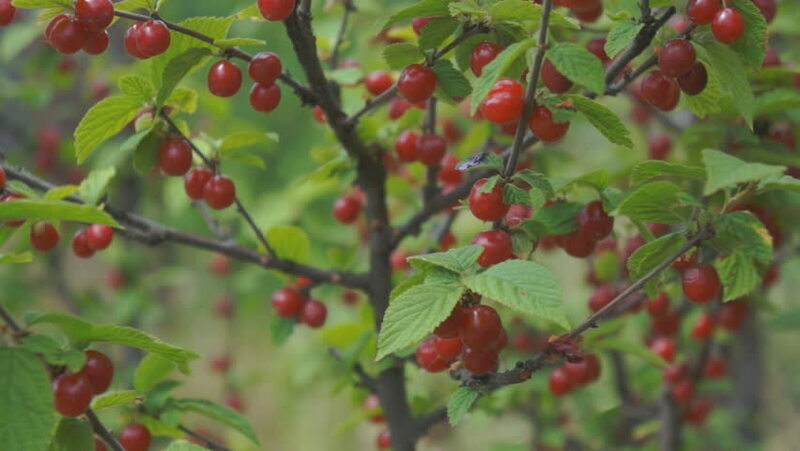 1.Branches with cherries. Camera movement from branch to branch. 2.Two bunches with cherries close up. Focus out / focus in. hd00:47Branch of red cherries shaking on the wind in the light of warm sun. Wild cherry tree big harvest in the summer. Ecological organic agriculture in the village.